Do Air Purifiers Help Allergies and Asthma? Most experts agree that YES, air purifiers can help allergies and asthma. But the level of effectiveness depends on the air purifier you buy. Here are some tips to help you comparison shop and find the right air purifier for your home. An air cleaner’s main job is to filter out allergens and particles that can trigger allergy and asthma symptoms. These devices scrub indoor air so it’s free of pollen, dust, mold spores and other particles. Some of these irritants are microscopic, so it’s best to have an air purifier that can handle the tiniest of particles. HEPA filtration is a solid choice for asthmatics because HEPA filters typically remove 98% of pollutants in the air, even ones as small as 0.3 microns. 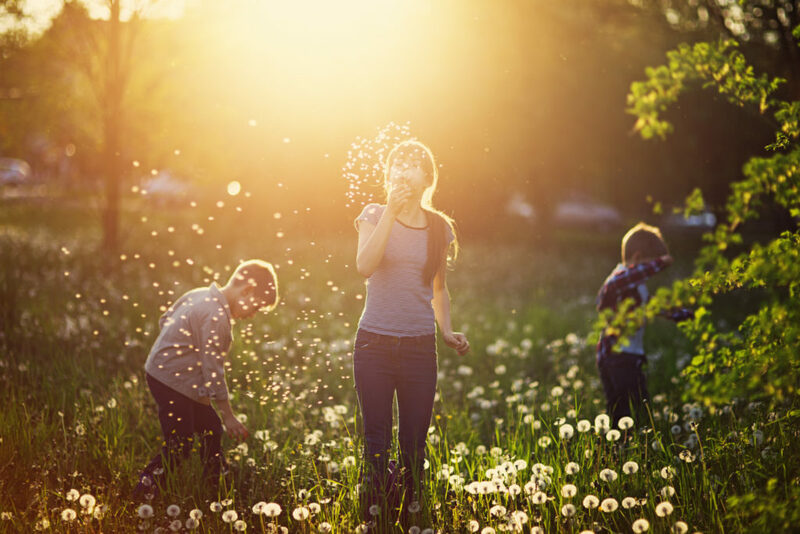 Air purifiers are great at improving air quality and helping control environmental allergies. The one drawback is that portable air purifiers can only attract airborne particles that are near the device. Which means if your allergy or asthma is severe, you may need to place air purifiers in multiple rooms. An alternative to a portable air cleaner is a whole-home filtration system like the Trane CleanEffects™ Air Cleaner which improves the air quality in your entire home, removes up to 99.98% of airborne irritants and can trap particles down to 0.1 micron in size. Keep in mind that air purifiers shouldn’t be your only defense against irritating particles. You should take other measures to reduce allergens in your home — like vacuuming daily, keeping windows closed and washing clothes and bedding in hot water. SIZE: Make sure the air purifier you’re interested in works for your room size. The device’s clean air delivery rate (CADR) should give you an indication of whether or not it can handle your space. CADR measures the cubic feet per minute of clean air delivered and the higher the value, the cleaner the air. If you’re trying to improve air quality in large rooms, look for a higher CADR. NOISE: Top quality air purifiers have a series of filters that capture particles and return clean air back into the room — which inevitably creates some level of noise. Depending on the model and setting of your unit, sounds can range from a quiet hum to a loud whoosh. If noise is an issue for you, try getting a larger unit — it’ll be effective, efficient and quieter at a lower speed. What type of filter is it? How easy is it to change the filter? How often do you have to change it? How much do the filters cost? If possible, get someone to demonstrate replacing the filter so you can see if it’s difficult. Pro tip — look for YouTube videos! Also, do a quick online search to see how much replacement filters cost for that device. COST: This factor includes the price of the device AND the cost for the electricity to run it. A good air purifier can be pricey — ranging from $50 to $1000. And if you need multiple devices to clean the air in several rooms, it can get expensive. Plus, the more units you have, the more energy you’ll use. Before you buy, do a little math to estimate how the unit will impact your electric bill. For example, most HEPA purifiers use 30-250 watts per hour. If you use the purifier 24 hours a day for a year, you’ll pay roughly $39 to $328 annually, using a baseline rate of $0.15 per kilowatt-hour (kWh). OZONE OUTPUT: Be aware that some air purifiers output ozone, which can make asthma worse. It’s important for asthma sufferers to read the product information and look for no or low ozone. The Molekule air purifier has a unique air cleaning process that actually destroys ozone and other contaminants, so this might be a good option to investigate. AHAM VERIFICATION: You may not have heard of the Association of Home Appliance Manufacturers (AHAM), but they’ve been keeping an eye on appliance standards since 1967. They verify air cleaners based on the unit’s recommended room size and the CADR rates that are listed on the product packaging. Before you shop, definitely check out their list of AHAM-approved air cleaners. So, to answer your question — if you have asthma or allergies, adding an air purifier to your clean air routine can be a smart move to ease your symptoms. Searching for the perfect air purifier may seem daunting, but doing your homework will make your sinuses, lungs and wallet very happy. Don’t forget, you can always contact your local Trane Comfort Specialist™ to discuss solutions that will improve your home’s air quality. Keep up with the latest home tech, seasonal tips and homeowner know-how — subscribe to Trane Topics updates.